This will be my ongoing build thread to make a 348 motor work in a front engine car and rear wheel drive. 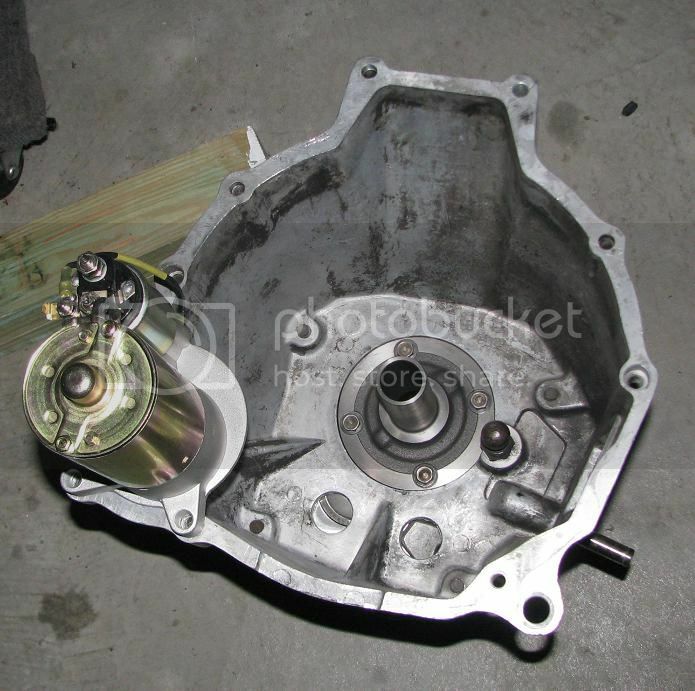 I am adapting a Ford bell housing and a Borg-Warner T5 transmission. With the help of a friend (with a large CMM unit) I was able to measure the block and bell. I have created the CAD file for the adapter plate and I am sending that off for machining. Looks like a awesome project. Good luck with it Reed. Please note, I am NOT a member of Beavis's Exclusive KissAss Club. Reed- Sounds like fun. Try and give yourself access to the cambelt so you do not have to yank the engine every 3-5 years. 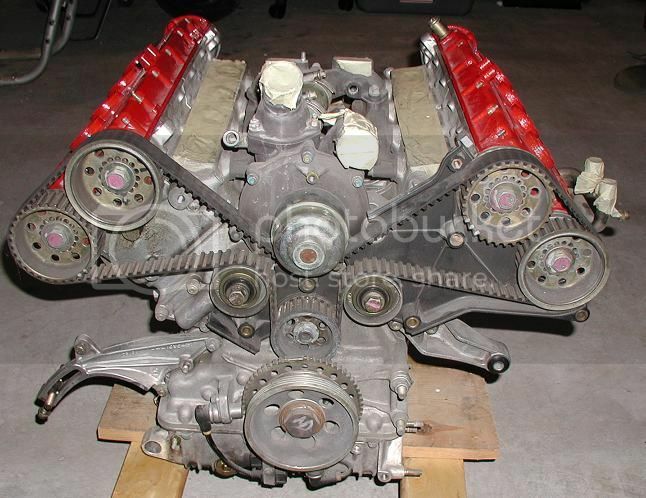 You can download a 348 workshop manual at ferraridatabase.com, plus other 348 tech data. I am going to be most interested in your transmission adaptation . sounds like a very fun project , I'll be I don't know why but it sounds fun . Thanks. I downloaded that years back. Before I started the tear down. I'm going to run the motor without belt covers. It should look pretty good. Look forward to the updates and please many many many pics. 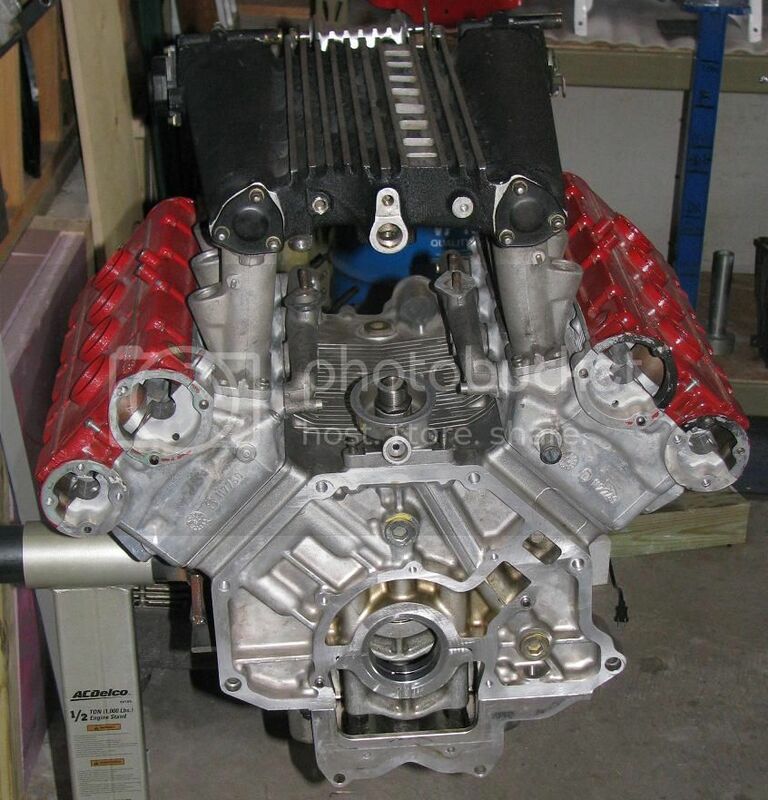 interesting project , never realised the Thema manifold was so high !! great pic's . Does it make any difference that the Thema did not have a flat crank ? Is the end of the crank bolt pattern the same as a Ferrari flywheel ? I'm using a 355 crank in the 348 block with a custom flywheel. I hoping the intake will work well. It's essentially just long runners, with plenums and two throttle bodies. I'm going to port the runners and have the whole upper section Extrude Honed. Here are the stainless exhaust flanges I had made. So I can build headers someday. I have a late Thema intake. The runners are equal length from the plenums to the intake port. Not sure about running without those covers, all it takes is a pebble to get between the belt and pulley and then a major boom boom. Hey didn't I just read this on the 40 site? Last edited by P2164; 05-20-2013 at 03:32 AM. Yeah. I thought that crowd might be interested too. 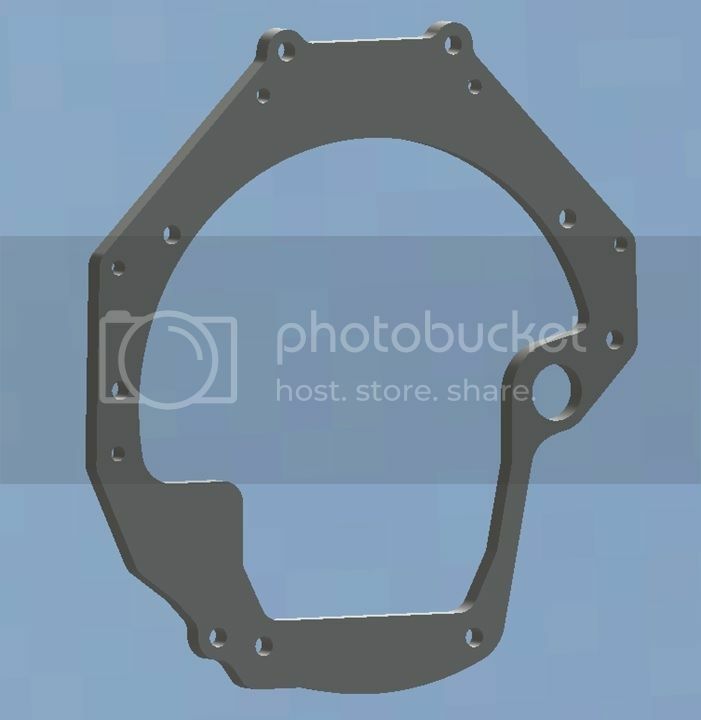 Would you be willing to share your CMM data for the Ferrari block pattern(s)? What chassis is it going into? The dry sump will allow you to mount the engine very low in the body, but in that case the flat bottomed oil pan will potentially interfere with the front suspension crossmember. 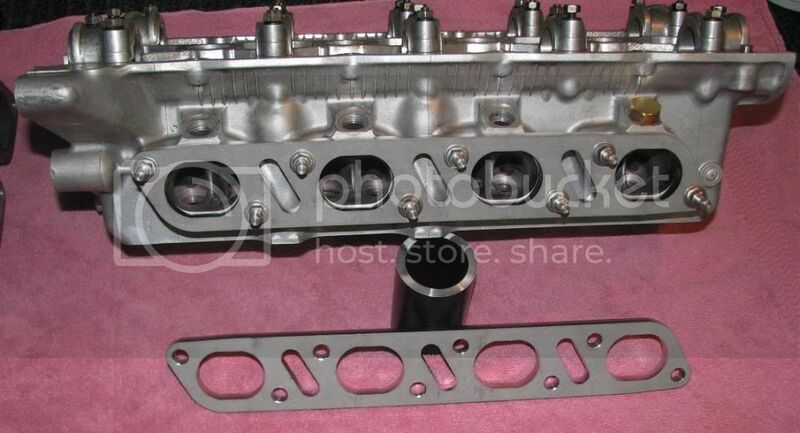 Also, mounting the engine as low as the dry sump allows will put the maximum width across the cylinder heads low enough that it may interfere with the front frame rails. I @$$ume you're using the Lancia manifold for hood clearance? Not sure about running without those covers, all it takes is a pebble to get between the belt and pulley and then a major boom boom. I'm not really worried, I have been running open belts on my Ducati's for years. Doesn't mean it can't happen though. I'm going to build some small guards up near the pulleys. Plus I didn't get any of the original 348 belt covers or rear plates. And I don't want to spend the money to get them. 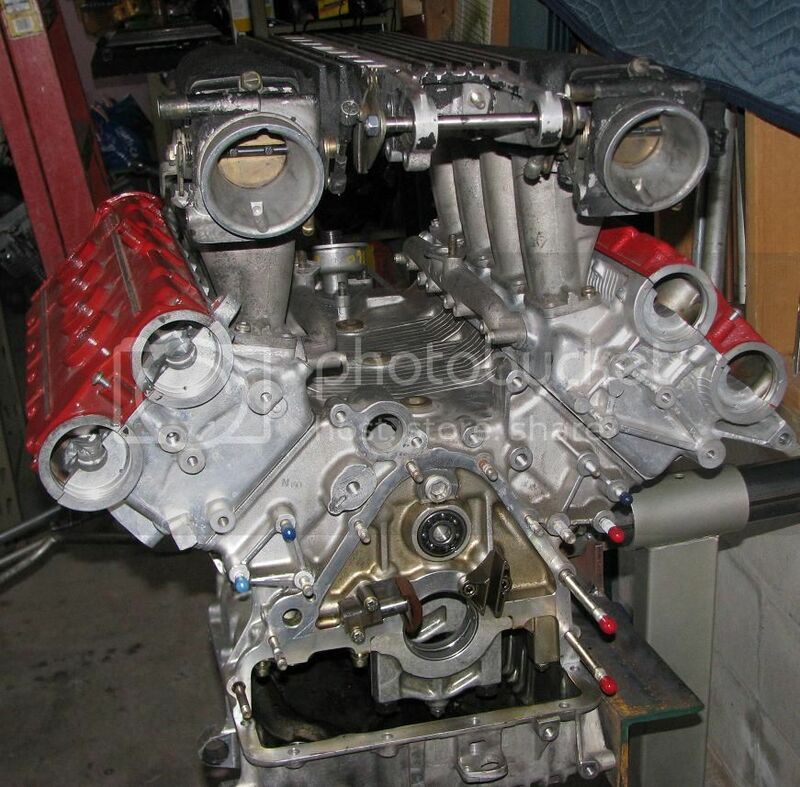 I will be putting the motor/trans into a Lancia Fulvia. Yes, you read that correctly. I am converting a Fulvia to front engine - rear wheel drive. I am building a tube frame and using Ford suspension and drive line. Mustang II street rod parts up front, and Fox body Mustang rear axle and suspension narrowed to fit in the car. I'm using the Thema intake as much for the lower height, but also because I didn't get the 348 intake system with my motor. I saw it at a Cars & Coffee in Northern VA.
Too many self-indulgent wieners in this town with too much bloody money! 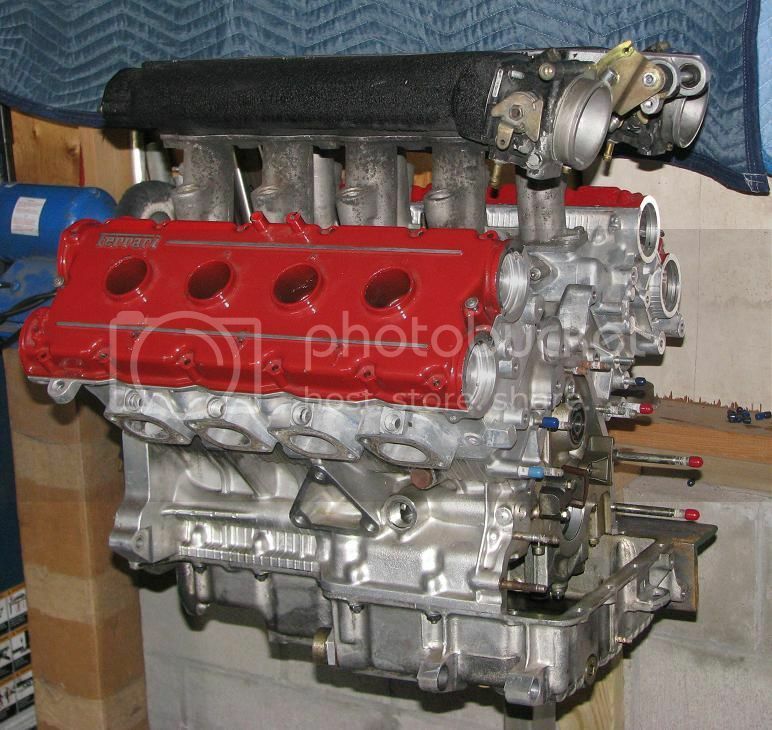 A Fulvia with a V8 will be a real sleeper. Like my friend that had a 283 in a Bugeye Sprite.